We may have started at the top in 1923, but we have always been very down-to-earth about the key to our success – Client Satisfaction. Client satisfaction is the key to our success. We’ve developed a strong reputation for service and reliability with our clients who believe in our ability to get the difficult jobs done. We have been enjoying referrals and repeat business from our clients for nine decades. Our list of satisfied clients spans more than 90 years because of one thing: we do it right the first time. Whether it’s new construction, re-roofing, routine maintenance, or emergency repairs, Tip Top Roofers deploys experienced technicians and craftsmen. We won’t cut corners, and we will stand by our work. The success of any company in a highly-complex industry such as commercial roofing in Atlanta depends on the professionalism and integrity of its people, the quality of the work they perform, and the satisfaction of their clients. Tip Top Roofers makes certain the services we provide remain within the design, budget, and timeline needed by our clients. 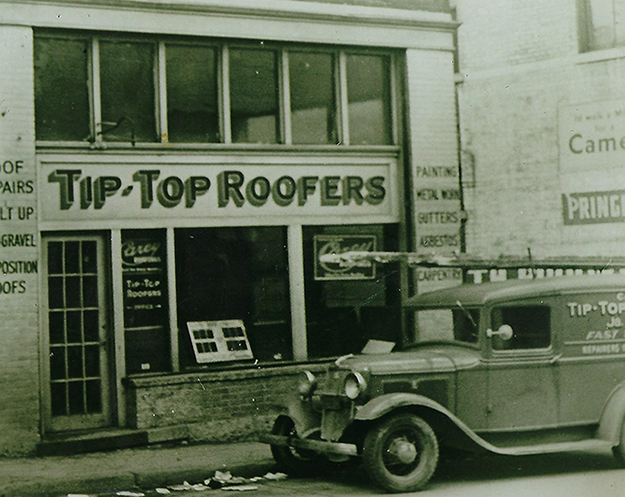 Tip Top Roofers is a member of the National Roofing Contractors Association, and our commitment to development and training is underscored by our associations with BOMA, ICSC, AGC, ABC, ASA, RASMCA and Master Roofers Association of Atlanta.